Given that the public sector banks alone control 75 per cent of the total business in the country, the public is sure to face some inconvenience till the strike ends, or is called off. Normal banking operations in branches of 40 banks will be affected today and tomorrow with nine bank employee unions kicking off their nationwide strike. 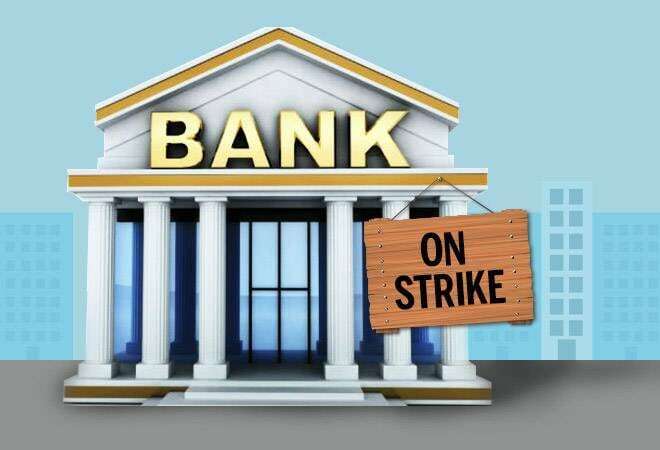 National Organisation of Bank Worker's (NOBW) Vice-President Ashwini Rana yesterday claimed that 10 lakh bank employees and officers of the 21 public sector banks as well as old-generation private banks and foreign banks will join the two-day strike. According to Mint, as many as 12 private and seven foreign banks will be participating. Given that the public sector banks alone control 75 per cent of the total business in the country, the public is sure to face some inconvenience till the strike ends, or is called off. Several banks, including State Bank of India, Punjab National Bank, Bank of Baroda and Canara Bank, have already informed their customers that functioning of branches and offices will be impacted if the strike takes off. "However, impact may not be substantial due to non-branch activities like internet banking. However, customers dependent on branch banking like RTGS [Real Time Gross Settlement], demand draft etc. will be affected," VG Kannan, chief executive of IBA, told the daily. Likewise, services like deposits, withdrawal, foreign remittances and cheque clearance in the 40 participating banks will be affected. The big question mark currently is whether ATMs of these banks will continue to function during the strike. AIBEA president Rajen Nagar reportedly said yesterday that ATM security guards will also be participating in it. If that happens, at least some ATMs may remain shut over the next two days. So if your salary gets credited at the end of the month, you may not be able to withdraw it till Friday. However, several bank officials have been quoted by the media saying that ATMs will continue to work. The machines were reportedly stocked up yesterday and cash refilling is usually outsourced by banks, so the ATMs are unlikely to run dry. But can they remain open without the guards? To remind you, last week, UFBU - an umbrella body of nine unions, including All India Bank Employees' Association, NOBW and All India Bank Officers' Confederation - had called for the strike to protest against a 'meagre' 2 per cent wage hike offered by the IBA earlier this month. In comparison, in the last wage settlement, for the period November 2012 to October 2017, IBA had given a wage hike of 15 per cent. Hence UFBU is now demanding an expeditious and early wage revision settlement, an adequate increase in salary and improvement in other service conditions and wage revision settlement to include all officers up to scale VII, which will include divisional managers to general managers. IBA has currently decided to restrict wage negotiations to scale-III officers or up till the senior manager-level. Additional Chief Labour Commissioner (CLC) Rajan Verma had reportedly held a conciliatory meeting between the United Forum of Bank Unions (UFBU), finance ministry officials and the Indian Banks' Association (IBA) on Monday in an effort to avert the strike. But with the talks failing to work out, the bank unions decided to go ahead with the strike. During the conciliation meeting, UFBU leaders quoted figures to prove how operating profit has doubled, staff expenses have reduced, business has more than doubled. They also told the CLC that the proposed hike "was not at all acceptable, considering the rise in cost of living". IBA officials had reportedly countered that by pointing to the huge non-performing assets that banks are grappling with. According to a recent CARE Ratings report, NPAs of the 26 banks that have declared Q4 results so far show a 15% jump over December quarter at Rs 7.31 lakh crore. With profitability hit, banks have little manoeuvring room left for significant wage revisions. But UFBU convener Devidas Tuljapurkar later pointed out that "It is only because of provisions towards NPA that banks have booked losses, and for this, bank employees are not responsible". He added that bank employees have worked tirelessly for implementation of government initiatives such as Jan-Dhan, demonetisation, Mudra and Atal Pension Yojana, among others, in the past two-three years, which resulted in a "huge increase in their workloads". According to AIBEA General Secretary CH Venkatachalam, the CLC not only "supported the issues and asked IBA to respond positively" but also said that "bank officers and employees have to be paid for hard work and not based on profit". Venkatachalam added that the IBA representative agreed to consider revised offer but requested UFBU to quantify the demand. So the ball is now in UBFU's court.